Privacy and Piracy: Managing Our Digital Rights in a Constantly-Evolving Environment - Think Inc. Revelations that Facebook may have allowed the sale of the data of 87 million users to analytics firm Cambridge Analytica – which may have been used to influence both the U.S. 2016 presidential election and the U.K.’s Brexit vote – have reignited the debate over digital privacy rights. 69% of us are more concerned about our online privacy than they were five years ago. 79% of us are uncomfortable with businesses sharing personal information with other organisations. 93% are concerned about organisations sending personal information overseas. Yet, despite this, the majority of citizens are not willing to do the work necessary to protect their personal information. The ACAPS 2017 survey found that 65% of us do not read privacy policies. Further research by Syzygy and Attest found that, out of 1,000 survey participants, only 5% intend to leave Facebook, despite knowing of its conflict with Cambridge Analytica. This cognitive dissonance is a microcosm of the larger question surrounding privacy. We want the benefits and features that come along with sharing our personal information, such as social engagements with friends and relatives, as well as more customised digital experiences or even protection against threats. We just don’t want to confront the potential negative repercussions that come from having done so. How do we balance our desire to fully embrace the benefits of technology, without giving up too much of our personal lives and data in return? Let’s explore. To understand the risks digital consumers face, we must first examine what is meant by “privacy and piracy.” Unfortunately, the number of risks threatening citizens’ private data has never been higher. So although the following list is far from complete, think of it as a useful starting point for our discussion. Identity theft. Identity theft occurs whenever criminals improperly use a person’s personal information to their benefit; for example, by fraudulently applying for a credit card or loan in their name. More than 770,000 Australians fell victim to identity theft in 2014, with an average financial impact of $4,000 per incident, according to Veda. Phishing attacks. One of the ways criminals access the information needed for identity theft is phishing attacks, in which legitimate data-collecting websites (such as login or transaction pages) are spoofed with malicious versions. At one point, Australians were the biggest phishing targets in the world. Ransomware events. In a ransomware event, a malware program takes over a user’s computer, causing it to effectively be held hostage until a fee is paid. Again, Australia loses out. In 2017, we were one of the 10 hardest hit countries by ransomware worldwide, while one in five Australian small businesses hit by ransomware attacks were forced to close their doors. Cybercrime and hacking. 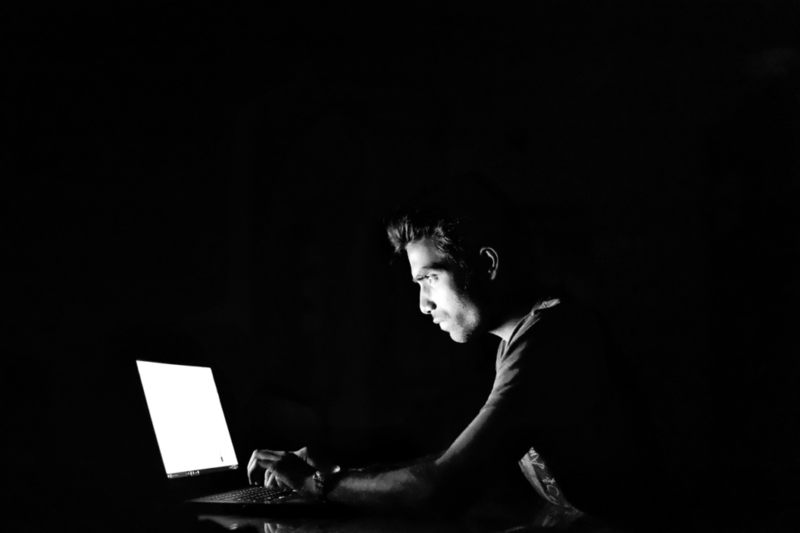 Even if private citizens take steps to secure their identities, they may be put at risk by hacking attempts against companies and organisations that store copies of their personal information. An estimated six million Australians were affected by these attacks in 2017. The threats described above are serious, but they’re effectively all variations of the same theme: malicious actors harvesting personal data for financial gain. A more nuanced look at data privacy and piracy requires broader thinking and presents threats that go beyond the theft of personal information. The use of personal data for social and political manipulation. As noted above in the example of Cambridge Analytica, personal information – in this case, data that’s freely shared over social networking websites – can be weaponised by those who harvest it to advance movements or influence political processes. Rate limiting and other data-based restrictions. The recent repeal of the United State’s net neutrality policy should concern Australians, who may suffer a flow-on effect from the policy’s potential access limitations. One privacy-related concern is the precedent that could be set if internet service providers (ISPs) are allowed to parcel out access to specific websites. By default, this arrangement requires that users give up data on their viewing habits and preferences, which they may prefer to keep private. The right to disappear. These and other risks underscore one of the questions at the heart of today’s data privacy and piracy debate: what rights do users have to the personal information they’ve shared both intentionally and unintentionally? European Union (EU) court cases have made some strides in defining this ‘right to disappear,’ as evidenced by the passage of the EU’s General Data Protection Regulation (GDPR). The governance of personal data is a wide-reaching challenge, with implications for individual consumers, businesses of all sizes and governmental bodies. Unfortunately, data privacy and piracy risks often emerge and evolve faster than organisations can identify them – let alone respond with either practical or legal guidelines. That said, several regulations defining personal data management rights and responsibilities exist in Australia. Another notable instance is Australia’s data retention law. Formally known as the Telecommunications (Interception and Access) Amendment (Data Retention) Act 2015, the act passed by both Houses of Parliament on 26 March 2015 and requires that telecommunications service providers store customer data (including the metadata associated with phone calls, emails and texts; not the content itself) for two years. Ostensibly, the rationale behind each of the regulations described above is the protection of citizens, whether with regard to the well-being of individual consumers or to broader societal needs. The data retention law, for instance, is described as being a counterterrorism measure that plays a vital role in investigating terrorism and organised crime. Australian privacy advocates don’t always agree. Uri Gal, Associate Professor in Business Information Systems, University of Sydney, shares in a contribution to The Conversation that “despite the government’s warnings, the risk of getting hurt in a terrorist attack in Australia has been historically, and is today, extremely low.” Rather than being a protective measure, he sees the data retention law as an invasion of privacy. Enjoy the benefits of connecting with friends and relatives, even if doing so puts us at risk of being influenced by external actors? Share our financial data with businesses to access the advantages of e-commerce, even if this adds another point of weakness for potential identity theft and cybercrime? Make our personal data available to the government for the possibility of greater protection, even before we’ve fully defined how much is being revealed and who will have access to this information? There are no easy answers to these questions, and these risks aren’t going away any time soon. But that doesn’t mean you can abdicate responsibility for them. Stay educated, and practice data safety to the extent you’re able to. Your well-being, financial health, and future rights may depend on it.